The Australian has the western province in the mix on both fronts and is managing his squad accordingly for the run-in. He'll make changes for Friday's quarter-final against Sale Sharks with one eye on the league clashes against Zebre and Cardiff Blues. The visit of the Welsh side in three weeks' time could be season-defining, but Europe offers an alternative route to next year's Champions Cup and gives the team the opportunity to claim silverware. 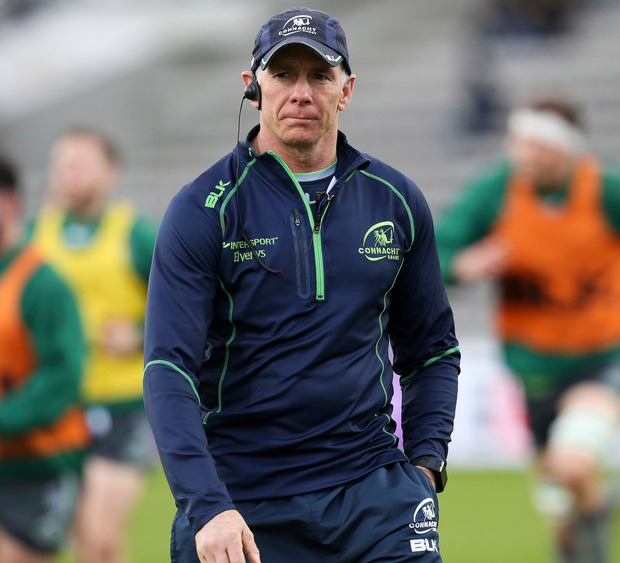 "We want to win both, we really do," the Connacht coach said yesterday. "The PRO14, we know if we keep winning in that we'll be in a top-three spot. "That gets us into Europe next year... brilliant, that's what we want. We know if we keep winning in the Challenge Cup we get into Europe as well. "You look at the Challenge Cup, beat Sale, win the semi-final and the final and you're in. "In the PRO14, you win three more games and you're in. We've got to keep both of those dreams alive and keep pushing for both." Quinn Roux looks set to miss out on Friday, but Friend could recall Bundee Aki for the trip to Stockport.